The new year always seems like the perfect time to clean up and re-organize your space. 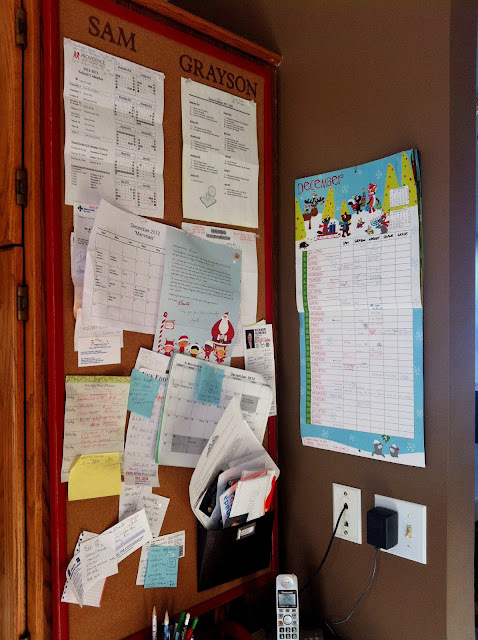 One of the first spaces to get organized is my kitchen command center - the old calendar comes down and gets switched out and all the bits and pieces on the bulletin board get cleaned off, freeing up space for info about the new activities ahead. I have a very small space in my kitchen for all this stuff and despite my best efforts to keep it under control, it gets a bit crowded...witness the "before" photo! 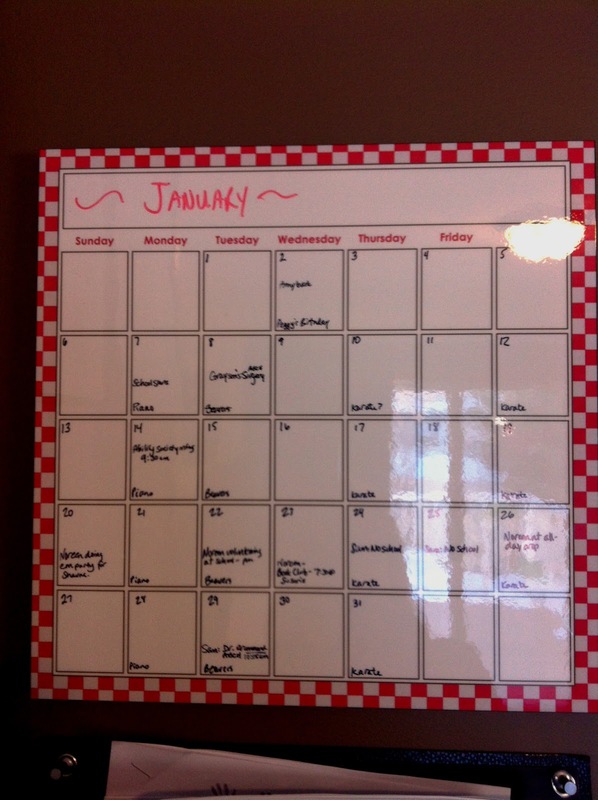 So this year I decided to streamline a bit and use one of CM's 12 x 12 write-on/erasable Photo Panels as my kitchen calendar instead of a regular paper calendar that takes up the whole wall. 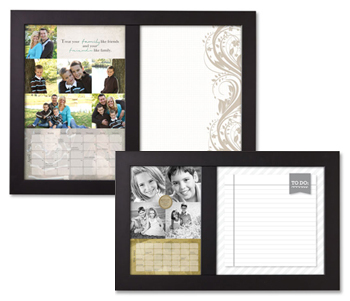 I first saw the idea of making the photo panel into a calendar back in the summer in a post on the CM Digital 411 blog that featured this one made with one of the gorgeous Enchanted papers as the background. It only takes up half the room that the old style calendar did, and now I have room to mount a large double wall pocket (from the Martha Stewart office line at Staples) to keep the boys school papers in below the calendar. I have another small Martha pocket mounted on the bulletin board where I keep a small paper calendar that I record dates for coming months in, and then I just wipe the photo panel calendar clean and update it each month. It's so easy to change and always looks good - no more scribbled notes and scratched out events. Now granted, we are only 5 days into the month, but so far it's working out fine! I love how my command center looks now, and that's half the battle to staying organized, right? If I had a little more wall space I might have gone with our traditional 12 x 18 calendar hung on one of the new Calendar Frames! 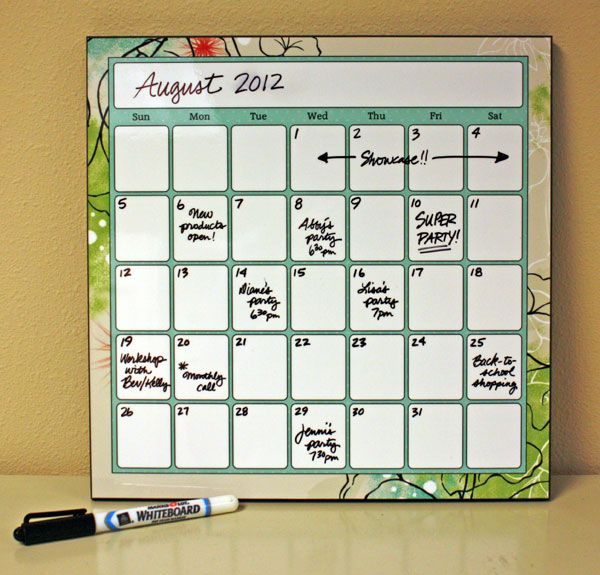 They are gorgeous, and I love the idea of having the calendar and white board integrated into one piece. 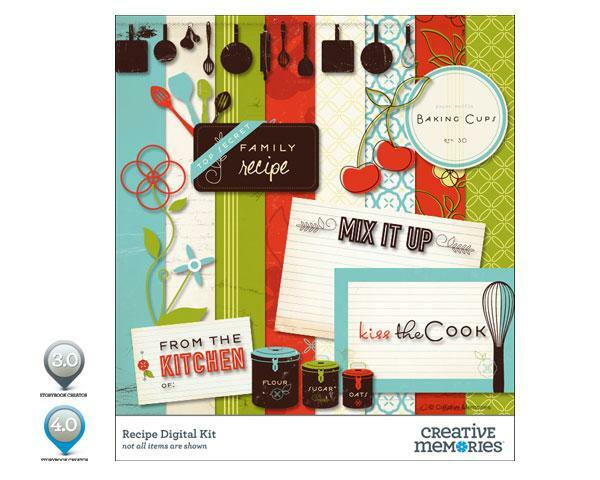 ...and updating my household binder using the same artwork as in the recipe kit above, but in digital format. Who would have thought Creative Memories would help me get my kitchen under control? 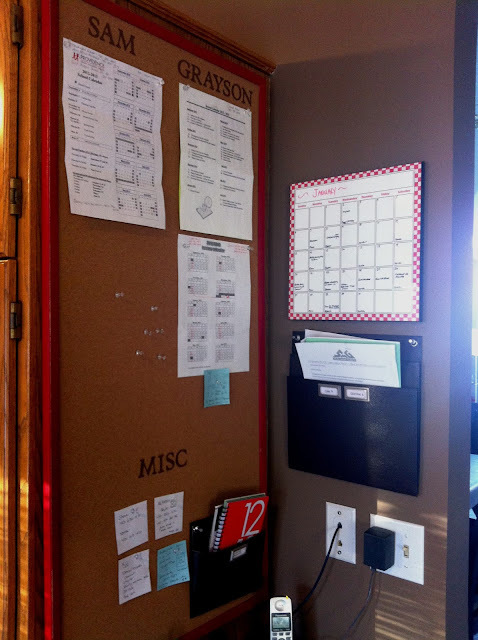 I'll be sharing more organizational ideas in the next few days, so be sure to stop by. 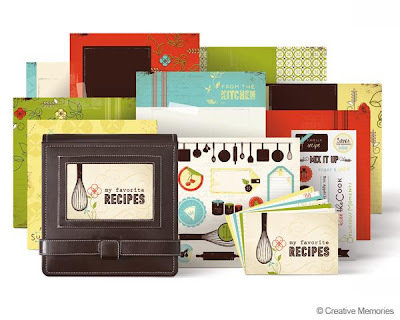 And don't forget that the Creative Memories Awesome Annual Album Sale is on until Monday January 7th with 30% off albums, pages and protectors. The sale does continue through until January 21st, but with only 20% off, so shop early for the best selection and prices! Are you organizing today? Whatever you are doing, have a great Sunday!